Only Half Blue, Whats Up With You! Do you want to hear a joke backwards? This entry was posted in Gallery and tagged amazing, animals, backwards joke, BIRD, Blue, branch, Chara Crestada, chilling, CORVIDAE, Cyanocitta stelleri, d810, fact, fun, Geai de Steller, Interesting Fact, Jay, joke, joke joke, life, model, Nature, new mexico, Nikon, NJ, nm, nm photography, nm wild, nm wildlife, Only half blue whats up with you, PASSERIFORMES, Photo, Photography, portrait, Resident. 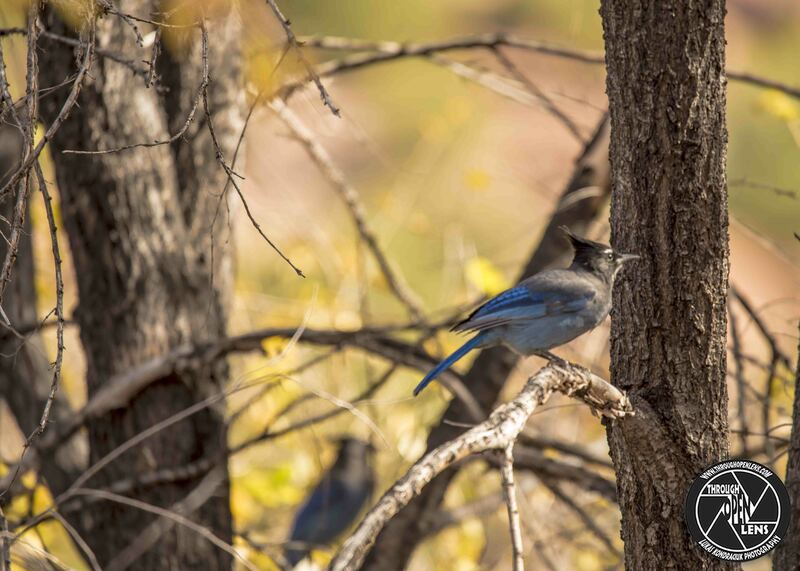 Birds, santa fe, santa fe new mexico, santa fe nm, Steller, Steller's Jay, Tamron, travel, tree, Wild, wildbird, Wildlife. Bookmark the permalink. Nice bird! The Steller’s Jay happens to be one of my favorite birds although I often refer to it as the evil twin to the Cardinal – those finely detailed white streaks on the head can look quite menacing when head on to the Steller’s.